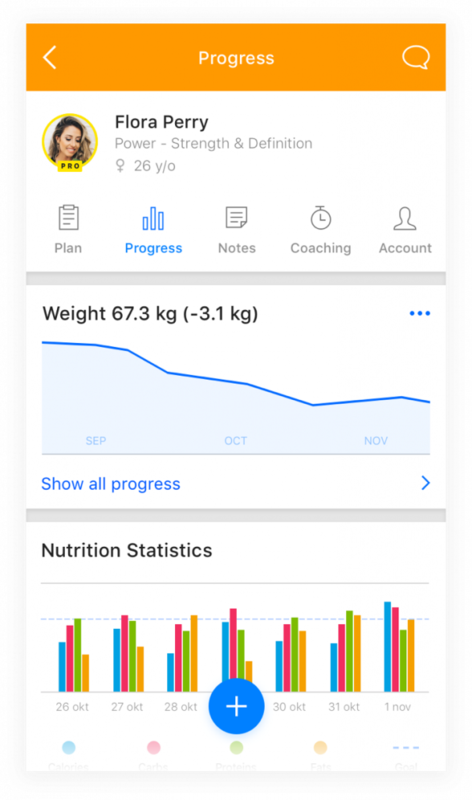 Get access to one powerful, easy-to-use app that will allow you to coach clients and track performance wherever, whenever. Suitable for personal trainers with up to 50 clients. You can easily store fitness and health information for up to 50 clients, efficiently managing your entire customer base. Add training notes, input client medical information and add new clients by syncing their information directly from your phone into the app. 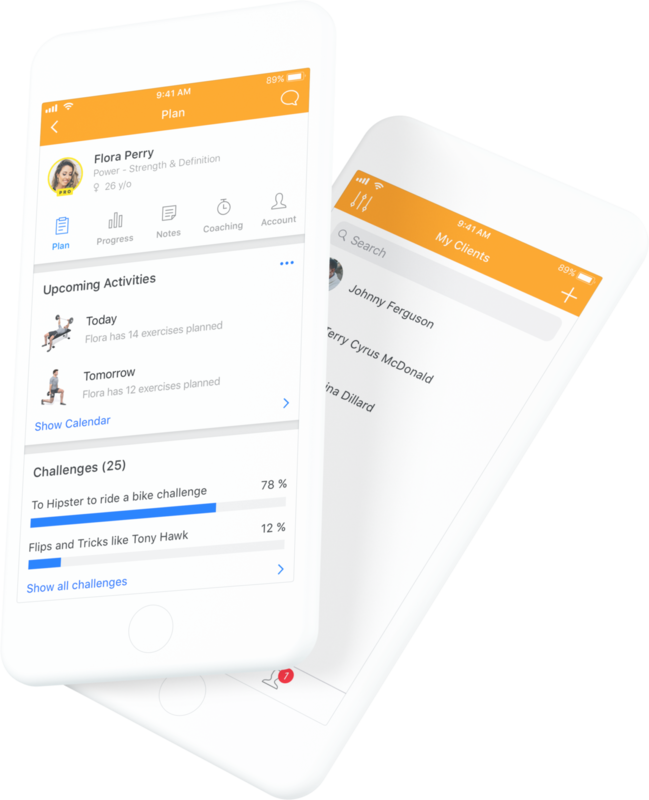 Create training plans, tailoring them specifically to your clients to ensure they receive the ultimate workouts to match their fitness level and goals. To help your clients achieve the results they’re after, motivate them by assigning competitions and rewarding badges when they complete fitness challenges. You can easily track and review each client’s performance, and determine how far they are from their end goal, through a series of high-quality charts. 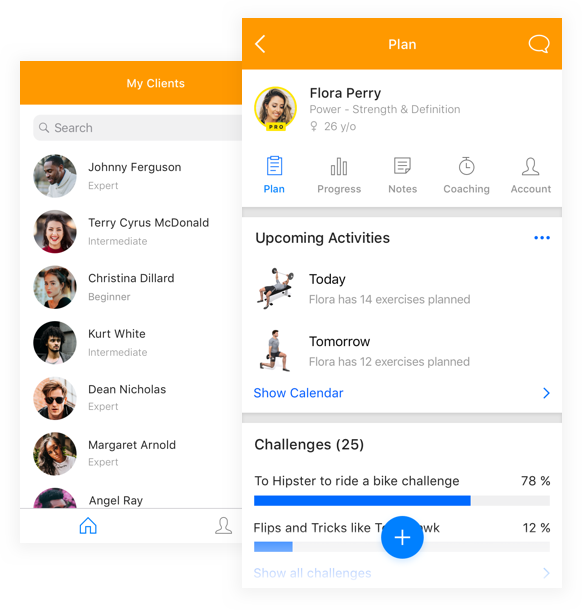 Monitor and control aspects of your client’s fitness journey by tracking their progress through the app, and notifying them of new workouts. More than 50 clients or running a studio? 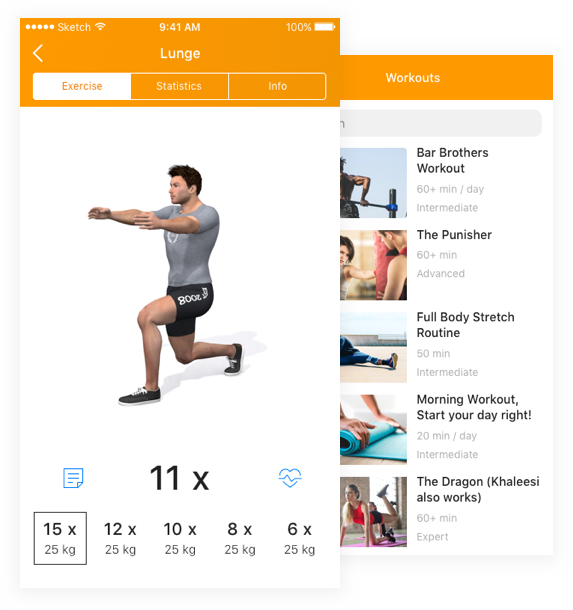 Virtuagym offers personal trainers an all-in-one package for both coaching and membership management. Automatically generate and sent invoices to clients. Create personalized nutrition plans for a variety of goals, and assign meal plans for detailed nutrition coaching. Professionalize your client experience with our customizable mobile apps in your own branding for Android and iPhone. Centrally store and manage all your client’s notes, assessments, and other supporting documents. Automated booking system that allows clients to book any type of class or session via our mobile apps. No more phone calls!